Mothers day at the Skatepark. Mothers day at the Skatepark. Mothers Day Sunday was a wonderful day for some fun at the Skatepark in Portage. The weather was perfect, and with the help of some great volunteers, there was great music, a little food, and a whole lot of excitement. By noon when the PFSP arrived there was already a sizable group of kids skating and enjoying the first phase of the Portage skatepark. Soon after with some help from Justin David Mecum & Tony Prestigiacomo from Xtreme sound the park was filled with great tunes. The PFSP volunteers prepared Hot dog snacks, while kids and families skated away the afternoon. It was really satisfying for PFSP volunteers to see the amount of positive social interactions that happen in our city’s new skatepark. It’s great to see children building social skills and relationships that will enrich them for the rest of their lives. In addition to the usual fun of skating there was also the fun of drone flying as Preston Rice owner of Madison Area Drone Service showed up to do some filming during the event. Over the course of the afternoon he captured a lot of amazing footage, and the PFSP is excited to see the final product, a promotional video that will come out on the Portage Skatepark website soon. 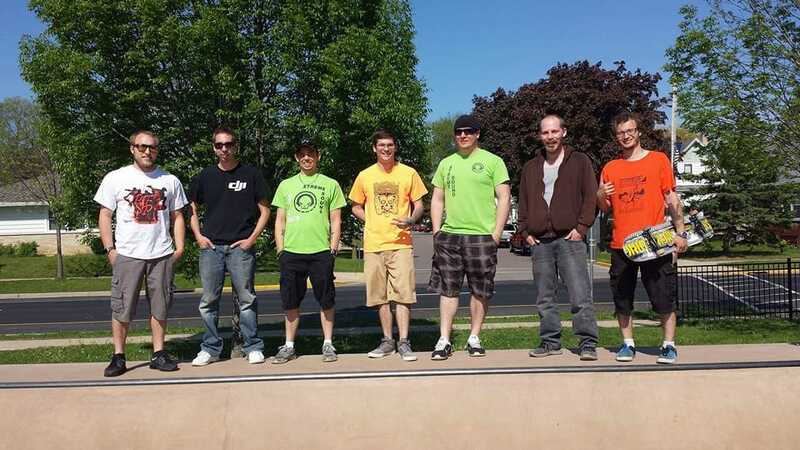 The Portage Family Skatepark Projects mission has always been to create a family friendly environment and a skatepark for people of all ages and skill levels. This Sunday we could see that we are well on our way to that goal. unfortunately the park is still incomplete, and that’s why we will be working hard to put together more events like our Mothers Day event to continue raising funds until the whole park is completed. If you would like to join us in our mission we are always looking for volunteers to help with events and brainstorm new Ideas. We have public meetings every 1st & 3rd Thursday of the month at the Portage Public Library. 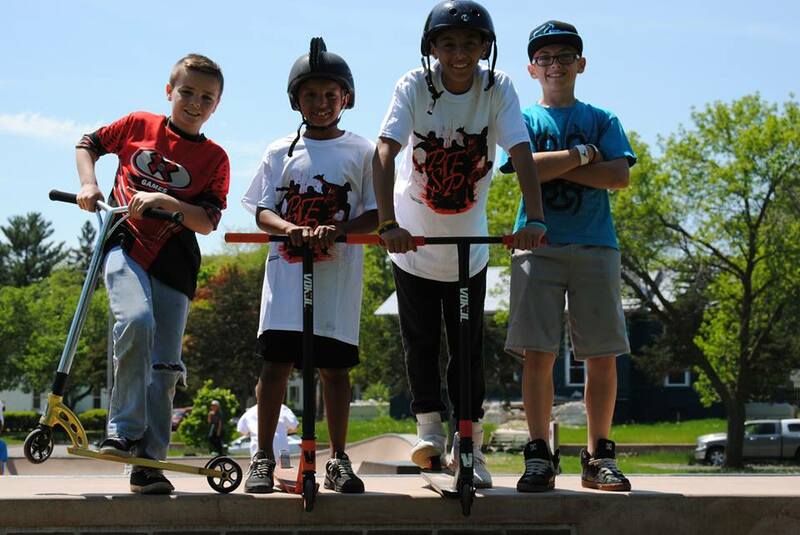 You can also visit our website @ Portageskatepark.org or follow us on Facebook @facebook.com/portageskatepark.